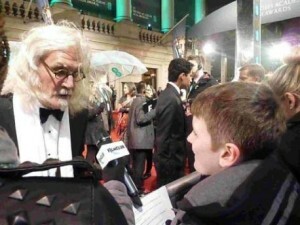 Recently our buddies at FILMCLUB went along to the BAFTAs to chat to the stars and find out about the latest movies! Luke and Chloe were on the red carpet along with some of the world’s biggest stars like Anne Hathaway, Hugh Jackman, Bradley Cooper, Ben Affleck and George Clooney. Some of the stars that the guys spoke to included ‘Les Misérables’ director Tom Hooper, ‘Frankenweenie’ director Tim Burton, ‘Great Expectations’ star Jeremy Irvine, Hollywood funnyman Chris Tucker and British star Simon Pegg (Paul, Tintin). If you would like the opportunity to do what Chloe and Luke did, just click here to find out more about FILMCLUB!